In Sundarban National Park in West Bengal, the tiger makes his round with an unmatched stealth and grace. The air feels wet and damp, while the silence is interrupted by the melodious singing of birds and roar of motor boats. Inside these world’s largest mangrove forests, creeks and tributaries form an intricate system of networks. Sometimes, they meet each other, and at others, wander off elsewhere. Tourists out on a boat ride are given their money’s worth while crossing them. Even though you are unaware, the big cat and saltwater crocodile observe you at all times, watching every step you make. However, sometimes, look up, as there is action on the trees too. A variety of birds, from brahminy kite to whistling teals, call this their home, and declare that from time to time with a loud cry, song or chirp. The Sunderban National Park is many things at once, a biosphere reserve, national park and tiger reserve, such is the richness of this mangrove ecosystem. What we commonly call Sunderbans is actually a large delta spread across 40,000 sq. km between India and Bangladesh! Just to give you an idea of how vast it really is, consider this. It stretches from River Hooghly in West Bengal, India, all the way to River Baleswar in Bangladesh. In this UNESCO World Heritage Site (it was declared a UNESCO World Heritage Site in 1987), the mangrove trees stand lazily on the mudflats, which are visible during low tides, and submerged in height tide. Its name means “beautiful forests” in the local language, and it is not hard to figure why. Another reasons are the Sundari trees, which are dominant in this mangrove area. Their uniqueness lies in their roots which shoot upwards for respiration, particularly during waterlogging during monsoons. The history of Sunderbans can be traced as far back as 200-300 AD. It is believed that the forests of Sunderbans were leased to the nearby residents during the Mughal period, who built settlements in them. In the coming years, however, those settlements were attacked by the Portuguese and salt smugglers in the 17th century. All that remains today are their ruins, most of which can be traced at a place called Netidhopani. It was in 1875 under the Forest Act, 1865 (Act VIII of 1865) that a large part of these forests were declared as "reserved". Post-independence, it was declared a wildlife sanctuary in 1977 and established as a national park on 4th May, 1984. In the year 1978, Sundarbans were declared a national park, and in 1973, they were declared a tiger reserve under Project Tiger. When to Visit Sunderban Park? The best time to visit Sunderbans is between November to March. The weather is quite pleasant during this time and creates the perfect conditions for tiger sighting and other wildlife. You can also visit it in the summer season, or the months from April to July. Remember though, that it can get very hot during this time, with the average temperature being 43°C. A lot of tourists find the heat quite difficult to deal with, but shouldn’t pose a problem for you if you are okay with it. Monsoons are not a good time to visit Sundarbans, as most of the areas are flooded and taking a boat ride would be quite unfeasible. Among other things, it is the unique geography of Sunderbans which endears it to the tourists. It is a part of the world’s largest delta and home to the largest mangrove forests. In its brackish waters, mudflats and trees, reside an incredible variety of flora and fauna. It is these, along with the vegetation, that makes this place what it is, a mystery which unfolds itself with every single visit. The vast Sunderbans also houses within it rivers, islands and villages. Flora: Inside the dense forests of Sunderbans National Park reside a rich variety of flora. The 64 plant species which are found however, have learned to survive in brackish waters and saline inundation. Some of the common species of plants which are found include Sundari tree, Golpati, Champa, Dhundul, Genwa and Hatal. It is estimated that there are about 78 species of mangroves in these forests. They are extremely important because of the important role they play in the survival of marine organisms. From a distance, these halophytes exude an aura of mystery, who knows what the darkness within has to offer. Fauna: Wildlife tourism is a major factor behind tourists visiting Sunderbans, and rightly so. After all, you’ve heard that it is home to a rich variety of wildlife, with the Royal Bengal Tigers enjoying a large presence. Nothing makes the tourists more excited than a tiger sighting. While that majestic cat certainly deserves all the attention and spotlight, there are other kinds of birds and wildlife animals who call these mangrove forests their home. 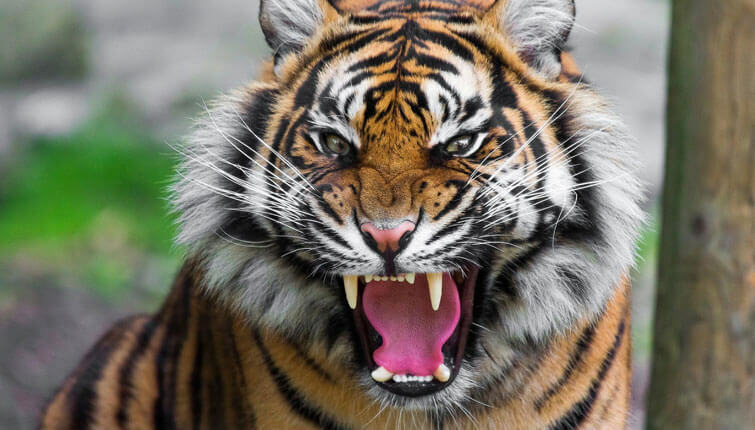 Apart from the Royal Bengal Tiger, other animals found in these areas are fishing cats, macaques, leopard cats, Indian grey mongoose, wild boar, flying fox, pangolin, and Indian grey mongoose. The chital deer and rhesus monkey are common sightings. Sundarban is also famous for its marine life, and is quite rich in it. A crocodile seated leisurely on a mudflat, basking in the afternoon sun, draws an array of reactions from onlookers. Other than the saltwater crocodile, other kinds of aqua life include red fiddler crabs and hermit crabs. While many people may not be aware of it, but Sundarban National Park is home to a large number of reptiles. Some of the more famous ones are water monitor, king cobra and rock python. A species of river turtles called Batagur Baska (which are classified as endangered by the IUCN) are found on the Mechau Beach. They are identified by their small head, a snout which always goes upwards and an olive brown colored carapace. The barking deer also deserves a special mention, as it is found at a place called Haliday Island. Rivers: The Sundarbans delta is formed by the coming together of three rivers, Ganga, Brahmaputra and Meghna. Besides these three main rivers, there are three other rivers which form an intriguing network of channels. Islands: There are a number of islands dotting this region, and some of them are attractions in themselves. The most famous of them are Kalash, Henry and Netidhopani. Villages: A number of villages lie in close proximity to Sunderbans National Park like Pakhiralay, Dayapur, Bali and Sajnekhali. Village walks are popular among tourists because they offer a glimpse into the traditional lifestyle of the villagers. While visiting one of these villages, you can also observe the traditional method of honey collection. Sunderbans National Park offers only boat safari to the visitors. Jeep safaris are not conducted here. The safari timing is from 8:30 AM in the morning till 4:00 PM in the evening. The entry of boats after 6:30 PM is prohibited. Although the park remains open throughout the year, however, winter season is the best time to visit it. Where to Stay in Sunderbans? Accommodation is hardly a problem in Sundarbans as there are plenty of hotels & resorts suited to your budget and preferences. You can select from a variety of staying options from eco resorts and budget hotels to government run tourist lodges. Sundarbans Field Camp situated in Anpur, Satjelia Island, Sundarbans, Camp Provide Air conditioner and Non Air conditioner rooms. Camp has 02 Cottages which is fully AC. Sundarbans Jungle Camp, 06 ethnic cottages 04 Three bedded, 2 Four bedded Rooms available, that respect local rural architecture and constructed with local materials. For most tourists, a boat ride through Sundarbans is what it’s all about. Not many are aware, though, that this national park is also home to other attractions. Let’s take a look at some of them. Sajnekhali Watch Tower is a popular watchtower in the Sundarban National Park which is great for spotting wildlife animals. It is situated in close proximity to the park, and that is one of the reasons behind its popularity. At any given point of time, only 20 people can be accommodated in it. This watchtower is greatly appreciated among birdlovers. From here, one can spot various kinds of birds including Pelican, Plovers, Lap Wings, Kingfishers, White Bellied Sea Eagle and Sandpipers. If your vacation plan is visiting Sunderban during the winters, you are in for a delightful surprise. During this time,a large number of Olive Ridley Turtles make their way to Kalash Island located in South 24 Parganas for nesting. It is also great for spotting different kinds of coastal birds like The Great Stone Curlew (also known as Great Thick-knee). Take a walk through Henry Island to come face to face with the lushness of this region. Take a stroll on its beach or explore the dense mangrove jungle which is accessible by crossing a small bamboo bridge. You will also find a fisheries department here, consisting of more than 50 ponds. It’s another great way of observing the flora and fauna of this region. The history of Sunderbans goes back hundreds of years. Under the Mughals, this land was leased to the people staying nearby who built settlements. Most of these settlements, although in ruins today, are great for sightseeing. One of these is a 400 years old temple dedicated to Lord Shiva. There is also a road to the extreme right of the forest which was built by King Pratapaditya to guard the coastal area. Today, it is covered in earth and consists of a sweet water pond. There are many things that make Burirdabri famous. It consists of a watchtower, a mud walk and mangrove cage trail which leads to a viewpoint called Raimongal View Point. During the course of the mud walk, you come across a variety of fauna including snails, crabs and molluscs. The great thing about this watchtower is that it lets you see the Bangaldesh Sundarbans. Upto 10 people can be accommodated in this watchtower at any given time. 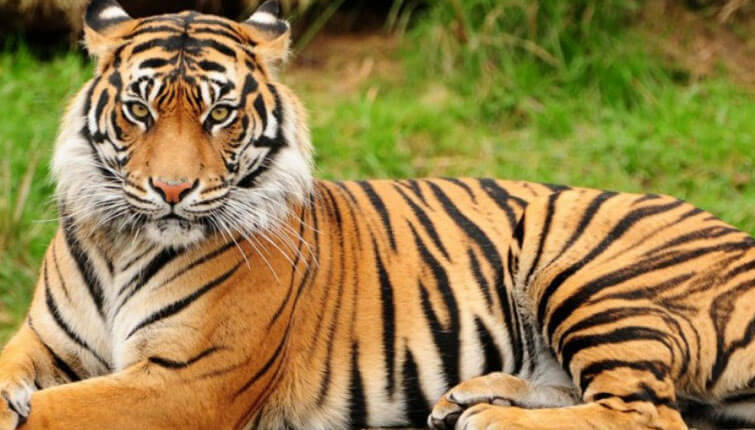 Sunderbans National Park, located in 24 Parganas district about 110 km from Kolkata, is well connected by train, air and road. Here is how you can reach it. By Train: If you are travelling by train, get down at Sealdah Railway Station. Then, catch a local train to Canning (this should take you about 2 hours). After arriving at Canning, take a local shared van which will take you to Godhkhali Jetty. From here, you can take a boat ride to Sunderbans. By Air: The nearest airport to Sundarbans National Park is Netaji Subhash Chandra Bose Airport at Kolkata. After landing at the airport, you can reach Canning by a local train or car. The distance between the two is 54 km and the drive should take you about 2 hours. After reaching Canning, catch a local shared van towards Godkhali Jetty. There, you will find boats waiting to take you to Sundarban National Park. By Road: Begin your drive to Godkhali from Kolkata, a drive which should take you about 3 hours 30 minutes. After arriving there, take a ferry towards Gosaba. Once you reach, hire a cycle rickshaw to take you to Pakhiralay Village, situated on the other side of the island. From here, take another boat to Sajnekhali. You also have the option of hiring a boat and going straight to Godhkhali (this ride should take you about 2 hours). By Waterway: You can only reach Sunderbans by waterway after reaching Godhkhali. You can do that by hiring a car from Kolkata and driving all the way. Another way is to catch a local train to Canning from Sealdah Railway Station and then taking a local shared van to Godhkhali. Kolkata, the capital of West Bengal, prides itself on its cosmopolitanism. Colonial era structures like Victoria Memorial share space with pilgrimage destinations like Dakshineswar Kali Temple and Belur Math. A shopping adventure at New Markets fills you with nostalgia, while a drive through Howrah Bridge delights you in an explicable way. Haliday Island is a part of Sunderbans Biosphere Reserve. It is situated on the River Malta and is home to a diverse variety of flora and fauna. Upon visiting this island, you can expect to spot the spotted deer, wild boar and also, Royal Bengal Tigers (although they are not so common). Gangasagar, located on an island in the Sundarbans, charms tourists with its lovely beach. It is also one of the most famous Hindu pilgrimage destinations in India. Every year, on the occasion of Makar Sakranti, it is a visited by a large number of devotees. It also hosts the Gangasagar Mela, the second largest in India after Kumbh Mela. Go to Belur Math if you wish to undergo a profound spiritual experience. It is the headquarters of Ramkrishna Math and Mission and was founded by Swami Vivekananda. The main attraction in this holy place is the room in which Swamiji stayed and attained Mahasamadhi. The other attraction is Swami Vivekananda Temple. Digha was once described as “Brighton of the East” by Warren Hastings (first Governor General of India) in a letter to his wife. He was won over by the beauty of its beach, which is enhanced by the presence of casuarina plantations. Tourists come here to enjoy the sunrise and sunset, and explore its attractions like Amarabati Park and Kajal Dighi Wonderland. Sunderbans National Park is one of the top ecotourism destinations in India, and it is absolutely thrilling to visit it. Just like any other place, there are certain travel tips which will make your trip a smooth and pleasant one. Here are some of them. • Do not drink tap water, as you may end up being severely ill or contracting various water-borne diseases. Always go for filtered water over coconut water. • You should not carry any mineral water bottle while visiting the national park as Sunderbans is a "no plastic zone". • Always carry some light snacks along with fruits and dry fruits with you. They will come in handy when you want a small snack. • It can be very hot in Sunderbans during the summers. Take adequate precautions if plan on visiting it during this time. Carry hats, sunglasses and sun tan lotion to protect yourself from the heat. • You will hardly come across any ATM’s in this area, so it’s better to carry enough cash to get you around. The only ATM which you will find here is in the village of Gosaba in Sundarbans. • Don’t let an illness take away all the fun out of your trip. Keep yourself equipped to deal with illness at any time by carrying medicines for cold, cough and upset stomachs. • A torch can always carry in handy. Carry one, along with spare batteries. • Carry spare batteries for your cameras too, in case you don’t find the means to recharge them during the course of your trip. Why to Visit Sunderban National Park with us? In this Sundarban travel guide, we have shown you the various reasons to visit it. 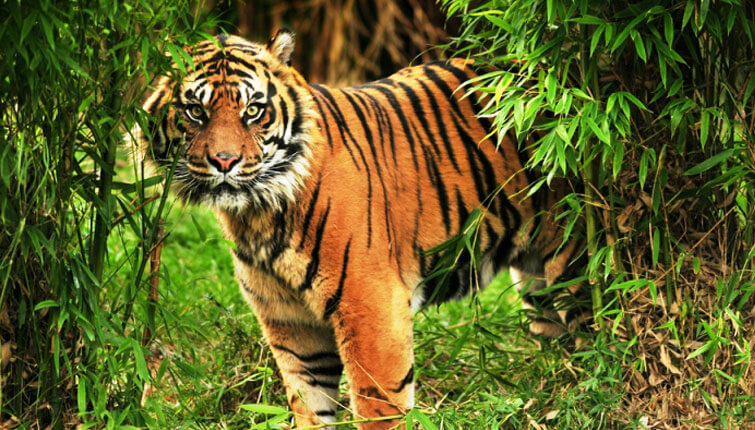 There are many advantages of planning a tour to Sunderbans National Park with us. We take you to all tourist attractions that it is famous for, at unbeatable prices and lucrative offers. Plan a trip with your family or friends with our tour packages. Call us at or send your queries at and we promise to get back as soon as possible. Copyright © 2019, Sunderbannationalpark.in All rights reserved.